com.endeca.store.exceptions.PathNotFoundException: No node found at path: [pages]. Solution :- Follow the steps as mentioned in my one of the previous post to solve above error. How to import specific set of rules/content to Endeca Experience manager? Oracle Endeca 11.1 onward support to import specific content item to Endeca Experience manager via calling ECR repository. This features enable to import content generated by CMS solutions to XM using scheduled job after extending/customize script to support XM supported xml/json format. 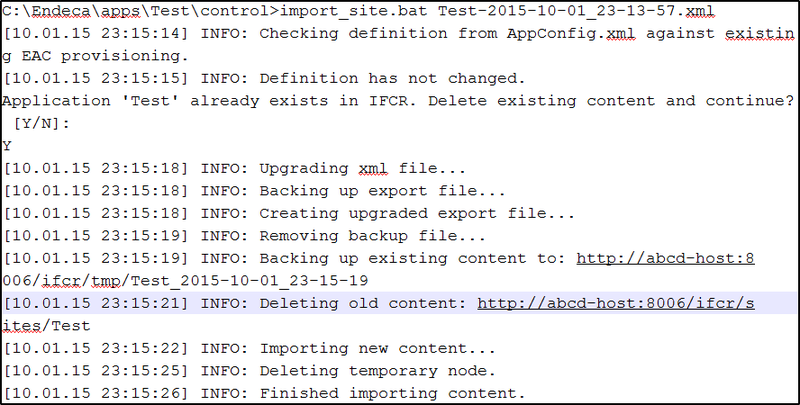 This can be achieved using runcommand utility script to import specific/single content item. <<Endeca_App_Path>>/Discover/control/runcommand.sh IFCR importContent "content/Shared/banner/Hero Banner" "<<Content_full_Path>>/content/Shared/banner/Hero Banner"
Above command will import Hero Banner content to XM. There are other utilty available as well to import and export content. How to add user segment from ATG to Endeca witout creating segment in ATG? 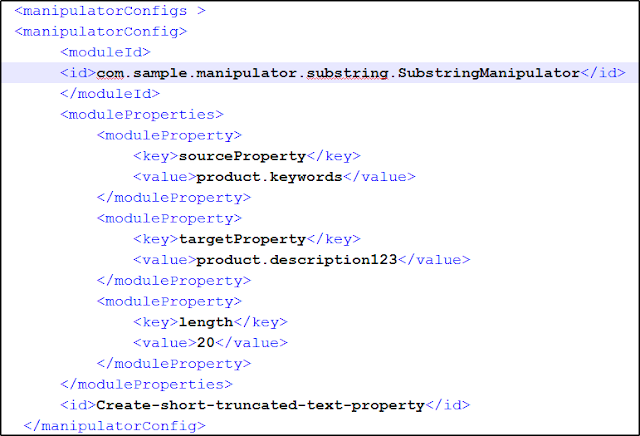 ATG passes all the user segments to endeca query based on profile to tigger different rule or content. 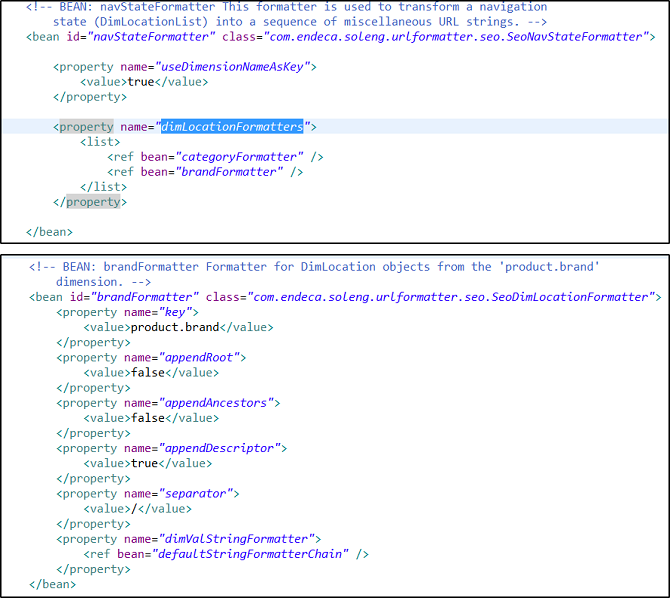 There are some situations where some user segment does not exist in profile but required for endeca query to trigger different types of content. Example :- Show different banner if user is coming from affiliate A and show different banner if user is coming from affiliate B. What the different available deployment templates in Endeca? Oracle Provides three different types of deployment template to create Endeca Applications. CAS-Forge based deployment template - This was being used until version 11.1. 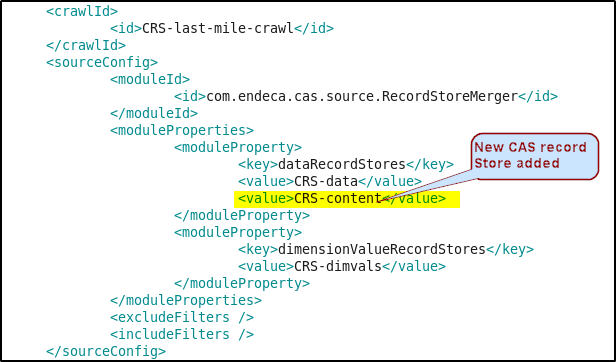 This type of application reads data from CAS record store and push data into Endeca forge process to create Endeca records. Legacy Forge Based deployment template - This template is used for pure endeca legacy/old implementation and provide indexing capability to read data from any source and do multiple joins in pipeline process. CAS-Forge based deployment template - This template is introduced from 11.1 version onwards. This process reads the all data from record store including dimension value. This uses only CAS to transform the data and reduce index creation time. This process has major limitation as only provide the switch join between different data source in Endeca. Oracle Endeca 11.x : How to Migrate Endeca Application between environment? Workbench application - Business creates content using Endeca Experience manager and gets stored in ECR(Endeca Configuration Repository). 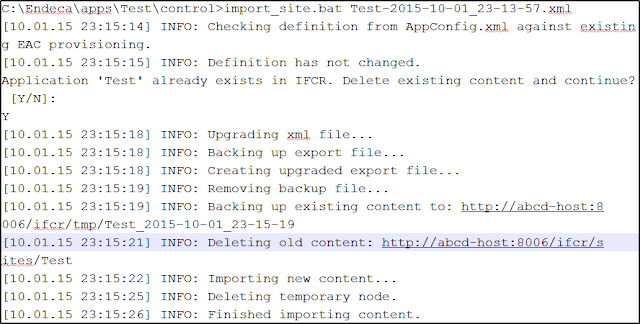 This application contains XM content, cartridges and other configuration like thesaurus etc. Index-config - Index-config contains all properties, dimensions, precedence rules and dictionary related configuration in JSON format. Dimension Value Id Manager - Dimension Value Id manager contains Endeca auto generated dimension values. Endeca N-value can be different if this does not copy to the environment. This would generate the zip/exploded folder. 3. Endeca Pipeline - Use the backup of <<Endeca_App>>/config/mdex folder and move pipeline. 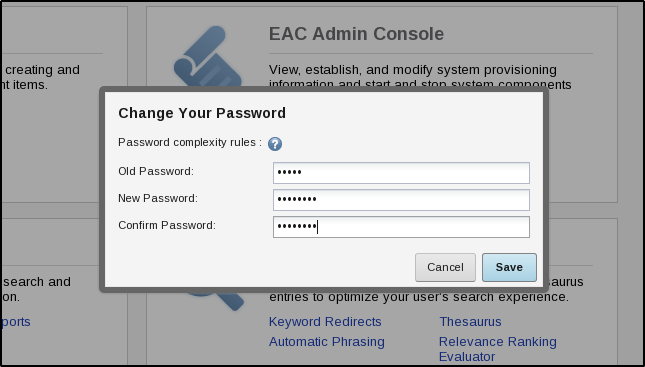 Oracle Endeca 10.x : EndecaHow to prevent 404 error after baseline update due to workbench password change? Web application starts showing 404-page error after baseline update once admin password changed from change password window using Endeca workbench and its not updated WorkbenchConfig.xml. INFO: [LiveMDEXHostA] Starting backup utility 'backup_log_dir_for_component_DgraphA1'. SEVERE: Unauthorized (401): Unauthorized access to workbench. Please check your credentials. WARNING: Caught an exception while executing post-startup script for server component 'DgraphA1'. com.endeca.soleng.eac.toolkit.exception.AppControlException: Error executing valid BeanShell script. Caused by: com.endeca.soleng.eac.toolkit.utility.IFCRUtility$HttpStatusException: Unauthorized (401): Unauthorized access to workbench. Please check your credentials. This issue comes if Endeca workbench admin password is different than WorkbenchConfig.xml under Endeca_app/config/script file. As per logs, Index generated by Dgidx gets propagated to live Dgraph first than Endeca workbench contents gets published to live Dgraph. So if the password is different than publishing live content method gets failed and logs the error in the log but baseline process does not stop. The following code as per snapshot can be added to baseline process under Endeca_App/config/script/DataIngest.xml to prevent above issue even password is different. 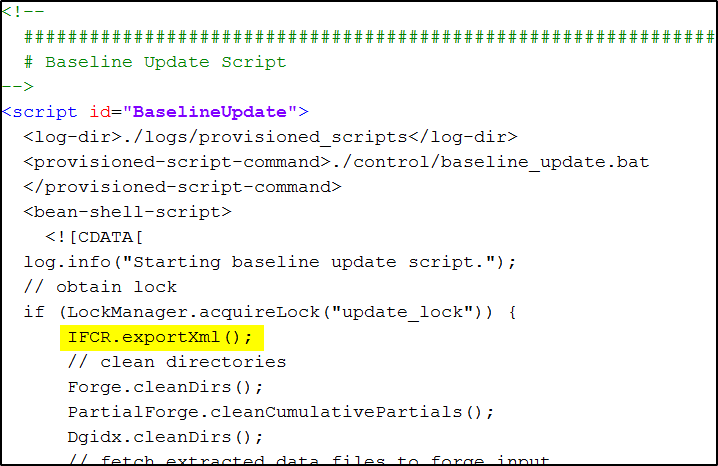 Above code would first try to export site data and verify if workbench password and WorkbenchConfig.xml password both are same or not and export the XML. 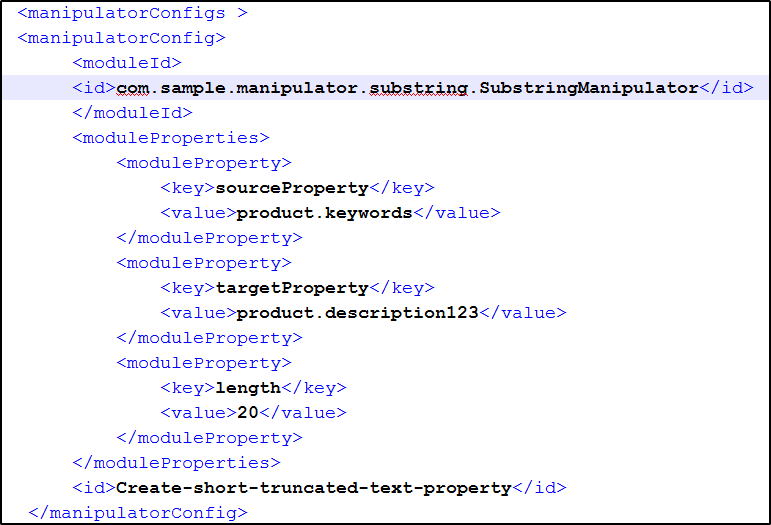 Note : Delete the generated XML after adding above code.